I don’t criticize freemium games because I want them to suffer. On the contrary, much like my pal Jason, I believe that it’s wonderful to have the opportunity to play games without taking any immediate financial risks. I love the very existence of freemium games because of reasons only they can replicate, which is why I’m willing to call them out for pulling unethical bullcrap. The concept of free-to-play deserves to be better than that, but unfortunately, there’s a sea of such games that definitely don’t deserve it. At their best, they’re literally free entertainment better than some $60 games. At their worst, they’re the biggest wastes of time and money around the gaming market. In all of my years of hacking and slashing through the thickets of the gacha jungles, raiding the temples of MMOs, and weathering the storms of idle games, I’ve developed a keener sense of what makes these games tick. If there's one good thing about so many freemium games having the same problems, it's that it's easier to see them. These are the notes of my many travels across the freemium space. Healthy gaming habits to resist arbitrary addiction, omens of good and bad games, and warnings against common hazards. It’s my hope this guide will help at least one person avoid making a purchase they’ll regret, or help that same person dive deeper into a game that’s worth it. 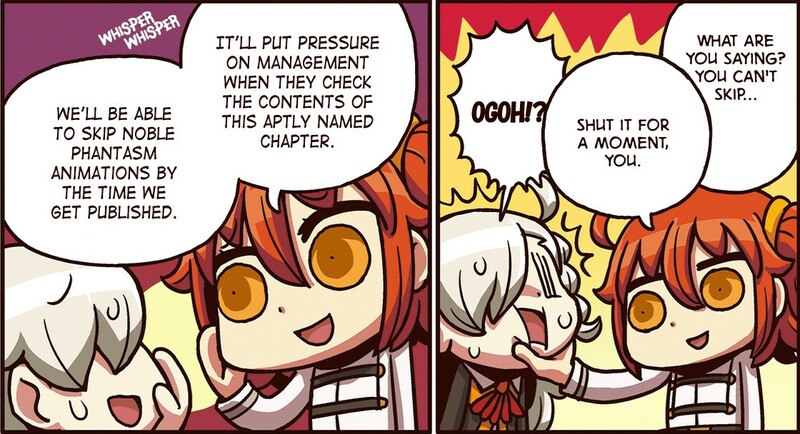 Oh, and every image in this article is from the official Fate/GO gag manga by Riyo. Yes, this is actual promotional material for a gacha game. 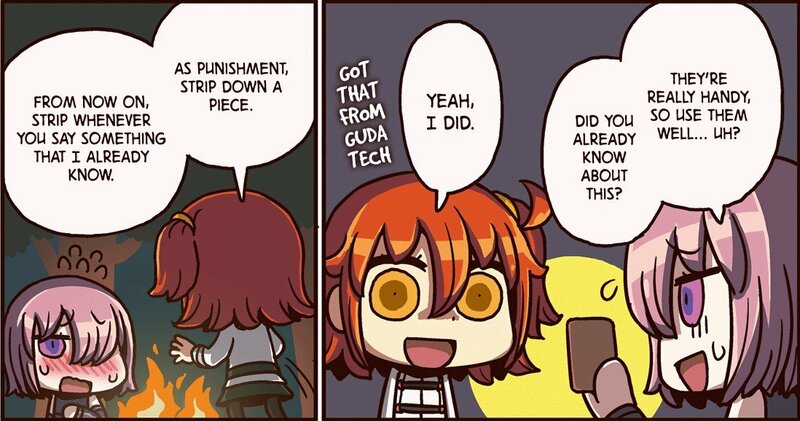 Yes, it is that honest about the vices of gacha games. And yes, I mostly have gacha games in mind for these tips, though they should be applicable to other F2P mutations as well. The addictive risks of gambling are already widely known, but let’s reiterate. Just because you spend money on a loot box, a gacha pull, or whatever doesn’t mean you’ll be satisfied with your purchase. This is one of the biggest red flags out there. If you spend money on a product, it’s unhealthy to spend even more money specifically because you dislike what happened when you first spent money. A reasonable gacha game should make getting a common result feel somewhat valuable, either by having some secondary redeemable value or giving you alternative gameplay options such as meaningfully different abilities. But whether or not those results are decently designed has no bearing on the true danger. The gambler’s fallacy compels people to pull the lever over and over again until they finally get the jackpot, only to see the results consistently out of their favor. One of the best ways to avoid that loop is to never make a payment unless you are prepared to make peace with Murphy’s Law. Whatever can go wrong, will go wrong, and if it somehow doesn’t go wrong, be willing to quit while you’re ahead. This doesn’t mean you should expect to be excited with getting the worst possible result, but it does mean you should be content with the fact that you spent money if you get the worst possible result. Continually spending until you get that one result you want most is a gamble nobody ever wins. Normally, I advise against looking up wikis for games I haven’t even played yet. These resources tend to be rife with spoilers and will otherwise dilute a game’s experience. But freemium games are a hugely different beast because whether they’re good or bad, they thrive off of keeping players invested in the long haul. They want players to be hooked on content, and to constantly tease them to keep playing. Much like any other game, curiosity is used to drive the player’s motivation to keep playing, but here that investment’s payoff usually comes much later. A little research can clear up that doubt, giving you a clearer sense of whether you want to play for the journey itself or not. Long-thriving F2P games also have various recurring events that newbies may be oblivious to. After grinding for a long time to save a hoard of premium currency, few things are as frustrating as spending your hard-earned loot only to realize a far better use for it was just around the corner. Wikis or other resources can help you plan ahead and make every last Rainbow Whatever count. And if there isn’t a wiki… if the game is more than a few months old, that should be a red flag itself. People will make wikis for everything, even the most obscure niche games. Even a horrendously incomplete wiki means someone found something to like, though probably not enough to inspire them to actually make a decent resource. Conversely, a deep, creatively designed, and informative wiki shows that there’s a passionate community backing it, which is generally a positive sign. This is closely related to the first point, and it’s more of a piece of general advice than anything specific to F2P gaming. Still, ignoring this is the point where a spending habit becomes unquestionably unhealthy. If you want to commit to an F2P game, you need to understand exactly how much money is okay to spend, and never spend any more than that. Never. That amount may be as high as an MMO subscription, as low as $0.00, or whatever else works. I recommend something proportionate to the game’s own production values regardless of its microtransaction prices, so I’d never spend more than $5 per month on mobile games if even that. Budgeting is a healthy principle to practice everywhere in life, and it’s helped me appreciate the little things I have so much more. I can respect a man for spending $70,000 on a single game as long as it’s within his financial means, but going that overboard must surely numb one to the value of all that money. A stricter, more responsible budget not only protects our savings, it helps us evaluate the true worth of how we spend it. Much like this genre itself, grinding is a contentious area of game design. There’s a lot to like about repeatedly empowering your party members, but it can easily become more of a chore than a game. Freemium games usually require plenty of grinding by nature of their long-term design and offer microtransactions as an opportunity to skip the grinding. Doing literally anything repetitive for a long amount of time can become boring no matter how fun it might otherwise be, and standard game models have this problem too. So I can forgive a long-haul game that I can play for free asking me to trade my money for my time. But I would never take that option in the first place if there is nothing fun about the process of grinding itself. After all, the gameplay that awaits you at the end of the grind is most likely fundamentally similar to the gameplay from the grind itself. If you want to get technical, there might be some interesting kinks in the mix for any decently designed boss battle or other progression roadblocks. But if you don’t find the core gameplay loop to be satisfying in itself, that loop isn’t going to magically fix itself just because you have bigger numbers to make it less difficult. Any good progression-driven game should make grinding enjoyable, even if it still takes too much time for its own good. If you just want to skip the grind because you don’t enjoy anything about the game in its current state, it’s not like giving it your money will make you happy anyway. Likewise, if you enjoy the grind, it’s a sign that the game has an enjoyable gameplay loop that can keep you satisfied for a long time. No age group is immune to this red flag. Freemium games can say whatever they want, as long as it’s not false advertising, to convince you to spend more money on them. That’s literally how a business makes business happen. That’s the job of any game developer, even for retail games without DLC, but applying that job to a model without a spending cap get dangerous fast. Many freemium games will try to shove HUGE DEALS into your face with a strict time limit before they disappear forever, especially if you’re a brand new player. Never impulse buy on microtransactions. Gacha games frequently push new banners as YOUR CHANCE TO GET THE BEST THING. And technically, they’re right! They offer a chance. Only a chance. Remember Murphy’s Law? This type of language has suckered a lot of people into poorly spent impulse purchases, but budgeting and patience can deflect them. Of course, those are some of the milder and more predictable examples. Disney Heroes Battle Mode actually made me cringe a little as I explored its menus. No, “Daily Deals” for purchasing premium currency shouldn’t be on a daily quest list, especially not when you remind five-year olds to do their dailies in the same tone a parent would remind them about their chores. I’m a bit confused by the term “games as live services.” The wording implies that these games are built with the user’s pleasure at the forefront. But people usually use this term with the connotation referring to games that actively attempt to exploit their player bases. If I’m going to call a game a service, I want it to actually serve its players' wants. Post-launch support is vital for any F2P game because it sustains the servers. A game that’s stagnated in updates is very likely on its death knell and as such is probably dangerous to invest yourself into. That doesn’t even necessarily mean the game itself is bad, just that it’s run by developers who can’t sustain it as a service. Dungeon Fighter Online died in the west because Nexon failed to keep up with updates. Then it rose from the dead thanks to Neople because the demand was still there. Doesn’t change the fact that Nexon didn’t do a lot of serving in DFO’s old incarnation, and I say this as a longtime fan of DFO. Also, note that the most successful F2P games more frequently give valuable in-game gifts to their players, like Fire Emblem Heroes. Obviously, they mostly do this because (A) they already make enough money to offset any customers declining to spend afterward and (B) these taste tests can lure players into spending more in turn. Nonetheless, any game successful enough to do this on a regular basis is also often a safer bet to play than most. In all of my days of F2P-game hopping, the most fulfilling times I’ve had were with any game where I’ve tagged along with my friends. Playing any game becomes better with friends, but it’s especially true for any game built around sticking for the long haul, with or without built-in community functions like guilds or whatever. In games that pride themselves on having so much content that they’re impossible to 100% complete, chatting it up with pals who have characters or other things you don’t can broaden your perspective of the game’s true depth (or lack of). If by chance you’re the only person in your group still playing the game after a month, it’s very likely everyone else got bored of it and you might be too. On the other hand, I’m in a Discord server with a bunch of friends who have gradually roped in more Granblue Fantasy players. That's because Granblue actually has a lot of gameplay bits to discuss and well-written stories to gush over. Free-to-play is beautiful because it breaks down financial barriers and makes it easier than ever for people to connect over shared gaming interests. These games live and die by their communities, both on a grander worldwide scale and in personal circles. 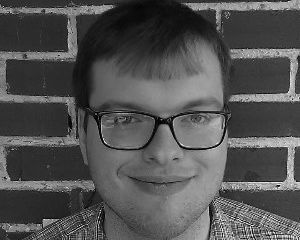 Like most multiplayer games, they can be enjoyed alone, but staying a solo player forever somewhat misses the point of what F2P can do for people. Just to be crystal clear, I consider this a healthy F2P gaming habit assuming you connect over shared interests, not cave into peer pressure. If your opinion does a complete 180 on any game, it’d be pretty cruddy to stick around just because your friends still play it. Trust me, you’ll all be happier if you stick to games you like on their own merits. It’s impossible for me to be more specific than this because, like all forms of entertainment, quality is subjective. A game with complex mechanics and high production values like Granblue may have a gameplay loop that just isn’t fun to you. A simple rehash of the clicker formula like Crab War might have enough tiny tweaks going for it to hit your personal sweet spots. But these tips help define the lines where time and money spent on these games stops being a matter of preference and starts being a matter of extrinsic compulsion. I don’t say “just never spend money” for these games because if everyone did that, the best of these games would definitely die out. Of course, I don’t say “you have to spend money” either because that fuels the compulsory addiction/commitments that are this model's biggest problems. Games that can be played for free and only make money from in-game purchases remain ethically hazy because both free and paying players sustain them in different ways. The lines where spending becomes irresponsible is even more subjective here than it is in most games. But the responsibility is shared by game developers and publishers, as it is for any game. Any game that deliberately abuses that responsibility will eventually lose some of that power. That’s what happened in Japan, forcing gacha games to show drop rates and offer eventually guaranteed drops. Either by choice or by obligation, we will see F2P games drift more towards responsible design sooner or later. But most likely not before they creep too far over the red tape, as they have before they backtracked in the first place. In the meantime, I hope this helps you identify and enjoy the better half of these games.